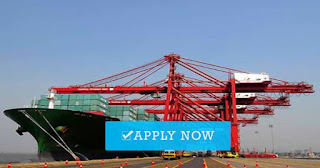 SEAMAN JOB INFO - KJCM Maritime Corporation UPDATED hiring requirement as of 03 December 2018 looking crew join on Bulk carrier and Container vessel. Share to help other seaman looking jobs at sea. Maritime & offshore career guide. Maritime life insurance company. Maritime finance courses. 0 Response to "Chief Officer, 2nd Engineer For Container Ship"